We have quality, vetted warehouse space available near you! Finding quality warehouse space with 3PL services tailored specifically to your requirements is a challenge. Searches based purely on geographic location produce a wealth of results most of which after many wasted hours of phone calls turn out to be wholly unsuitable, leaving you back at square one. At Les Flanagan Logistics Services we do things differently. We offer a tailored, personal service drawing on nearly 40 years’ experience of implementing, managing and utilising warehouses throughout the UK and Ireland. They have been personally vetted. They have been recommended because they complement your specific needs. They deliver the best results for you. Saves you the hassle of unnecessary phone calls and wasted time. Delivers a choice of solutions for evaluation and comparison. Provides you with an insider’s confidence in the ability and suitability of the recommended matches. Is personal, targeted, professional and courteous. All enquires are handled with the utmost confidence. We currently we have a number of quality solutions available for ambient, chilled, frozen and haz chem goods. Specifically there is significant capacity in Essex, Bedfordshire, Buckinghamshire, East Anglia, Northampton, Warwickshire, South Yorkshire, East Midlands, Nottingham, North Lancashire, Liverpool and South Wales. For more information on the solutions available to you please contact. Les@LFLS.org.uk, call 07768 148208 or visit our website. 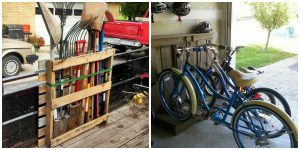 Why the wooden pallet is King! Pallets are the supply chains key ingredient worldwide. Millions of them are used daily to transport goods from manufactures to warehouses to retailers. Did you know they first came into use in the 1920’s and were in widespread use by the 1940’s. That’s nearly 100 years of use. No wonder we all have a soft spot for them. There has been much discussion recently about the environmental impact of the traditional wooden pallet and the numbers I’ve just quoted may have set a green flashing alarm bell off in your head. Well don’t panic. The pallet that all logistics professionals regard so fondly is actually still one of the most environmentally friendly options available. Wooden pallets are largely made from the sub-standard off cuts from the furniture and housing industries. So rather than adding to deforestation pallet manufacture is ensuring that nothing goes to waste. International standards for wooden packaging (ISPM15) help to protect and encourage the safe use of timber packaging worldwide. Less than 5% of timber pallets end their life at landfill. That’s 95% of what we manufacture being recycled and reused. Any pallets that are beyond repair can be shredded to provide wood chips for fuel. There is also a wealth of pallet pool options that keep pallets circulating in the system and many pallet providers repair and recycle on a regular basis. 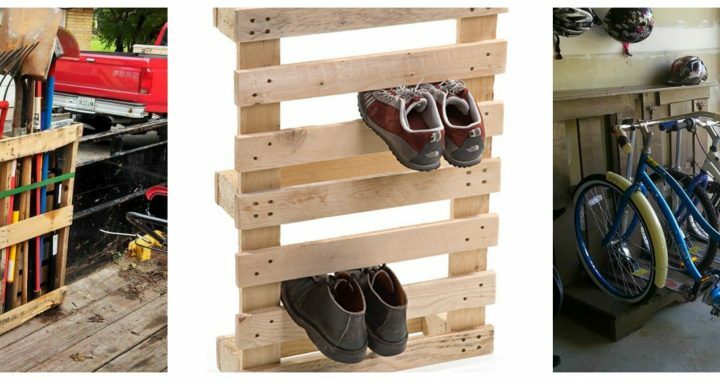 And let’s not forget the pallets greatest gift – its ability to be recycled and upcycled into some amazing objects. 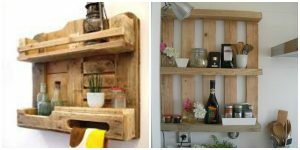 I bet every single one of you has something in your home or garden that you have made from a pallet! 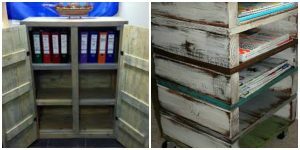 As this week kicked off with Blue Monday and has continued to be grey and dreary I thought it would be fun to put a smile on our faces by taking a quick peek at some of the best pallet transformations I have seen. In at number one are these great staircases. Followed by these two brilliant ways to organise your garage. How about a revamp of your office space with these filing cabinets. Or perhaps your kitchen needs a tidy. The fact is wooden pallets are the lifeblood of our industry. They could be the most versatile recycling material out there. And they have a very special place in all logistics professionals’ hearts. Long live the wooden pallet! 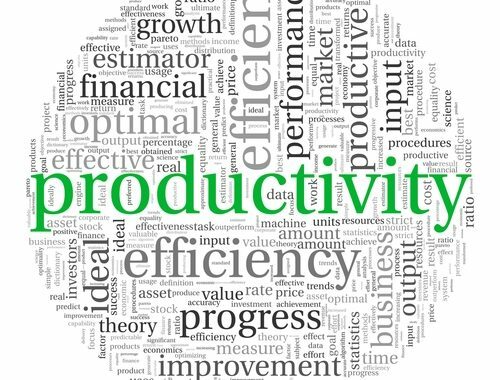 Are you facing a labour productivity challenge? Labour is generally one of the biggest costs for most companies, sometimes as much as 50 – 70% of annual budget. Managing and reducing labour related expenses while maintaining robust customer service levels can seem like a never ending challenge that many companies struggle to tackle or maintain. The benefits for those companies who accept the challenge are far reaching; cost reductions, improved productivity, increased customer satisfaction and more streamlined efficient processes. In short, a distinct competitive edge. If you are thinking of tackling labour productivity Les Flanagan Logistics Services Ltd provide a full project management service that delivers significant results fast. Our most recent project in a manufacturing warehouse, employing 90 staff, delivered annual savings of over £300k. We have more than 4 decades of experience in management consultancy and business development within warehousing, distribution and logistics. We have worked both large and small organisations including Sainsbury’s, Wincanton, M&S, Tibbett & Britten, Dairy Crest and Neals Yard Remedies. We are supply chain specialists with in depth experience in warehousing, labour relations and performance management. a bespoke, tailored project management approach that works with your business. We are big enough to be the best at what we do but small enough to offer a personal service that makes you our top priority. a comprehensive work rate analysis of every measurable task based on professional work measurement and method study techniques. The analysis highlights inefficiencies, duplications, double handling and lost time allowing you to make focused changes swiftly. a detailed work flow evaluation which identifies the speed of movement of key lines and makes smart, achievable recommendations that will reduce travel time, eliminate congestion and streamline the process flow. an examination of your labour management techniques and structured training for all management levels on how to maximise labour force productivity. a thorough investigation, feedback and training on organisation and work load planning with a real focus on managing avoidable peaks, troughs and bottlenecks that impact efficiency. ongoing support, training and guidance that ensures you implement the recommended changes and reap the rewards. If labour productivity is your challenge for 2017 then get in contact now and let us help you get that competitive edge. Please email Les@LFLS.org.uk or call 07768 148208. We are a small team which allows us to offer a real personal and tailored project management package but it does mean that we book up fast so we would advise you to get in contact quickly to guarantee our help this year. 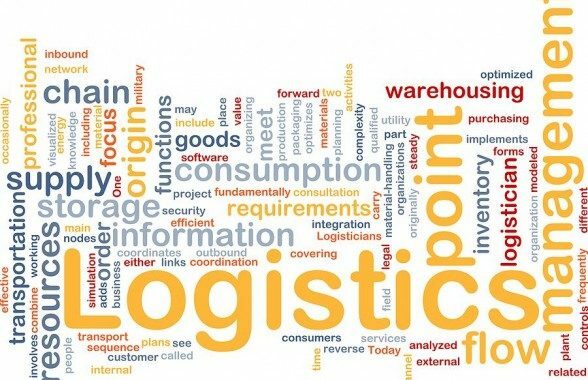 As the New Year gets underway I thought it would be useful to look at how I believe supply chain and logistics services will develop in the next 12 months. I predict that our industry will be subject to aggressive transformation in 2017. The continuing growth of e-commerce, the increasing empowerment of consumers, the stagnation of bricks-and-mortar retail and Brexit will all play their part in influencing change. As industry leaders we need to recognise these challenges as opportunities. As traditional practises get turned on their heads we have a real chance to innovate and revolutionise our industry. Those who embrace change will be at the forefront of one of the most exciting times our industry has experienced. So what are the main trends that will act as the catalysts for these changes? Growth of e-commerce – there is now hard evidence that traditional bricks-and-mortar retail is stagnating. As you would expect e-commerce continues to go from strength to strength. Overall the trend is for Omni channel retail which in turn will mean more companies looking to add or extend their online offering. As industry professionals we should be looking to develop our capabilities and services around e-commerce logistics. Same Day Delivery – the genie has definitely been let out of the lamp! What we used to say was impossible is now quickly becoming the norm. With companies such as Amazon and Argos trailblazing this service, customers are beginning to expect it, and other retailers will have to get with the trend in order to stay competitive. Can you offer retailers a same day solution? Customer centric deliveries – we are living in the age of increasingly empowered consumers. They expect delivery to be about them. They need to be made at a time that suits them, to a destination of their choosing. They want to be able to change the delivery time and place last minute. They want to know the name of the driver and see a photo. They especially want to be able to track and trace that last mile. This is a paradigm change for the industry and creates real opportunity for technological innovation and creativity. Supply chain visibility – the growth of e-commerce challenges logistics providers. Automation, high volume, stocking products in line with demand, multiple delivery options all make traditional practises unworkable. We are entering a new world of full supply chain visibility. Companies want to be able to track their products from manufacture right the way through to the final moments of delivery. They want real time information and touch of a button reports. To keep at the top of our game we need to have the technology and skills to be able to offer service at such a detailed level. Brexit – the full effects of this are unknown and it is extremely difficult to predict what will happen. We could see an upsurge in trading with countries such as China as free trade with European countries ceases to exist. Import and export in and out of the UK may take a hit and shipping companies may feel the pinch. I will be watching developments keenly. I am looking forward to 2017 and am eager to see how our industry responds to the challenges ahead. Who knows may be next year I will send you all a copy of my article using a drone! All the best for 2017, Les. The relative quiet during and after Christmas and the New Year affords a good opportunity to review our performance during 2016. The benefits of looking in detail at what worked and being honest about failures and disappointments is of huge value. It’s from these conclusions we are able to plan for 2017 and drive our businesses forward. So, while you’re recovering from too much turkey and one to many eggnogs start reflect on the successes and failures. What were your biggest achievements this year and why? What strategies led to real results? Which were the least and most profitable services? What did you not do so well and how can you change things to make improvements? 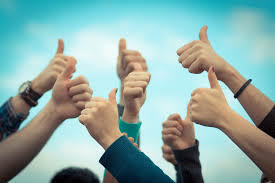 Did you provide consistent excellent customer service to all customers? Where can you improve your service? What do you need to invest in to improve operational and financial performance? What do you need to do you attract more customers? Is your marketing timely and relevant? Do your services compliment your customers’ requirements? On your return to work in the New Year it’s time to formalise the review with your management team and workforce. Your review should conclude with a comprehensive business plan for 2017 complete with financial targets, customer account plans, people development goals and operational improvement objectives. Monthly reviews throughout the year should keep your plan on track. Look out for these tell-tale signs that things might be going wrong. Sales figures drop – stop and analyse why this is happening immediately. It could be your service levels have dropped and you have unhappy customers. It could be your products aren’t meeting your customers’ expectations. You could have a problem with quality or may be your marketing lacks relevance and you aren’t attracting the new customers you expected. 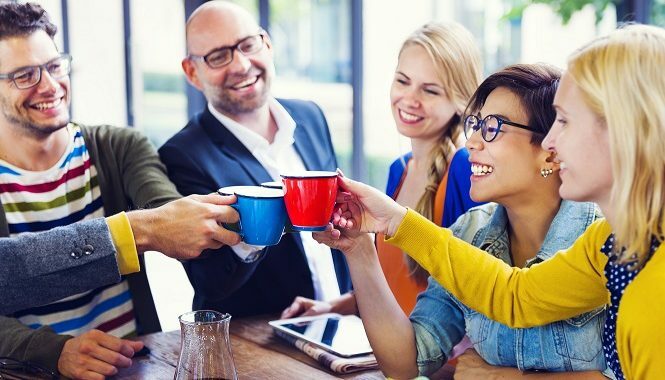 Employee morale drops – your biggest asset is your workforce. Low morale leads to mistakes and a lack of attention to detail. It doesn’t take long for this to translate into a drop in service levels which are clearly visible to and felt by your customers. Get close to your workforce to understand potential frustrations and issues. Costs rise and revenue falls – this is often really difficult to see as the movement tends to creep over time rather than stand out as a dramatic change. The key to staying on top of this is regular key performance indicator reviews and robust financial management. Competition increases – keeping an eye on your competitors is essential. If you see a sudden increase in the market then it’s time to stop and review what you are doing. Making sure you are always at the top of your game and able to offer something different to your competitors is key to maintaining growth and achieving your goals. Important customers leave – losing key clients tends to be a sign that something isn’t right. Proper account and relationship management should be an early indicator. Take time to understand what has gone wrong and address the issues quickly to avoid future losses. Proactive communication to customers is key. Keep the customer at the heart of your business. Growth is quick and exceeds expectations – now don’t get me wrong this is a good thing; but don’t be caught out by it. Rapid growth can put serious strain on your people, systems and resources. If you’re pulling in the cash make sure your infrastructure can sustain the growth long-term. Quality time spent reviewing and planning has a direct relationship to your company’s success. I wish you all a wonderful New Year and a 2017 filled with growth and prosperity! It’s time to get the log fire burning, mull some wine and settle down with a mince pie or two and watch a feel good Christmas movie. But before you switch off completely I thought it would be fun to take a look at some mind boggling Christmas logistics facts and figures. First we must pay homage to the ultimate King of Christmas Logistics, Father Christmas himself. While we are all still trying to find solutions to the ever changing supply chain, he has been quietly providing the definitive next day timed delivery for hundreds of years. Maintaining exceptional customer service and 100% delivery accuracy means his place as King is guaranteed for some time to come. 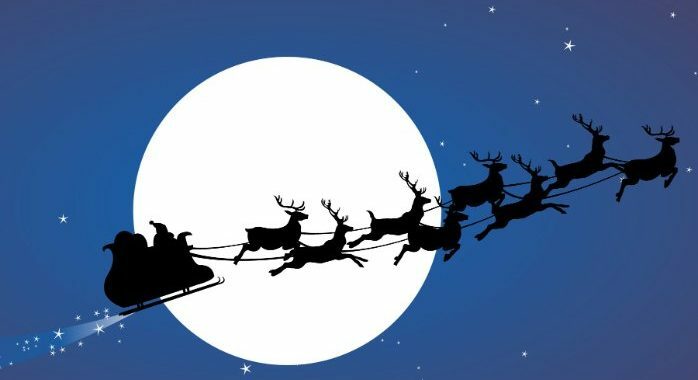 Do you know he flies 317 million miles on Christmas Eve. That’s 1800 miles per second! The most amazing thing is his charges have never been subject to any kind of increase. He still does all this work for a glass of Sherry, a mince pie and a carrot for Rudolph! 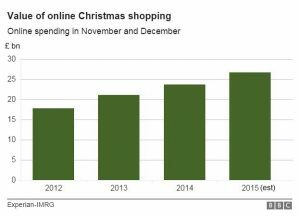 All of our businesses have been affected by the growth in B2C and it’s easy to see why when you take a look at how the value of online Christmas shopping has increased since 2012. Online sales are showing no signs of slowing down. In fact online spending is forecast to continue to grow for the foreseeable future. 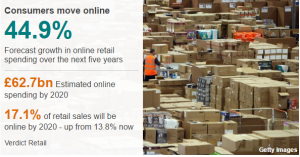 As the amount of money we are spending online goes up so does the number of parcels we are expected to deliver. 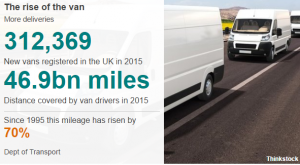 More parcels means more vans and light delivery vehicles. And let’s not forget all the extra picking, packing and deliveries means a substantial increase in workforce over the festive season. Here’s how Christmas affected a few of our major players last year. So, if you are feeling exhausted and ready for the holiday now you know why! Happy Christmas and a relaxing New Year to you all! Are you delivering customer service excellence? The relationship between business and customer is the true foundation of any 3PLs success. Excellent customer service and the ability to pro-actively meet the challenges of the ever changing supply chain give 3PLs a distinctive edge in this highly competitive market. As we all begin to review 2016 and plan for 2017 it’s a great time to take a look at your customer service. In my opinion, excellent customer service stems from outstanding performance in four key areas of your business, information technology, delivery solutions, your people and cost. State of the art WMS allow you to provide customers with transparent, accurate real time data on inventory, stock movement and costs. This touch of a button technology impresses customers providing the ability to solve queries and get answers quickly. 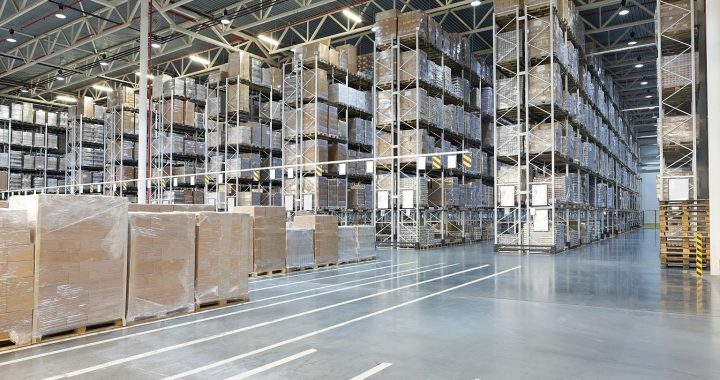 As supply chains become increasingly demanding and customers require pallet, layer, case and single picks WMS provide sophisticated systems that allow you to provide full service solutions. Cutting edge WMS provide paperless, error proofed processes. This not only looks impressive and reassuring to a customer but also improves overall accuracy and efficiency that becomes visible in excellent KPI’s. It is not enough to just install a WMS. Frequent changes to the supply chain mean to be progressive you need to be constantly working to improve and expand the capacity of your system. As B2C services continue to expand with the growth of the e-commerce culture, you need to find creative, cost effective solutions to offer your customers. Traditional lead-times of 3-5 days are simply not good enough anymore. You need to have reliable next day, same day and even 2 hour delivery solutions. On top of that the end user is demanding full track and trace, flexible delivery slots, parcel shop and click and collect. To provide the best service you need to be working on solutions to all of these challenges. Your greatest asset is your workforce. The key to providing the highest level of customer service is excellent staff, who enjoy their job, understand their value, are unafraid to suggest new ideas and improvements and who communicate enthusiastically and professionally with staff and customers alike. A strong leadership team and a multi skilled workforce are essential. Attracting and retaining the best quality people should be a key component in your business plan. Good salaries, clear training and development plans, comfortable facilities, clear communication, multi-level involvement in decisions, investment and fun should all play a part in your core values. Cost remains and always will be a key component in any customer service solution. However customers now place a much higher value on exceptional service and niche solutions. Costs should be flexible and transparent and clearly communicated and documented. Customer service excellence is the driver of growth for both your customer and for your business. Achieving the highest standards possible should be a major priority for you in 2017. 3PL is the abbreviated version of Third Party Logistics and originally started out as a military term. Now 3PL refers to companies who offer a comprehensive and wide range of outsourced services for pretty much all aspects of your supply chain. When I started my career in logistics 3PLs simply looked after your products and ensured that they got to all the right places at the right time. Competition, advances in technology, increasingly intricate and demanding supply chain requirements, the e-commerce boom and global growth have seen the range of services offered by 3PLs increase dramatically. 3PLs are now strategic partners who add serious expertise and logistics proficiency to your business. You can expect your 3PL to define your logistics, take bold steps to improve your supply chain, manage costs and generate ideas for improvement. Partnering with the right 3PL is a key component in your company’s success. Let’s take a look in more detail at the services 3PLs provide. You can expect a move to a 3PL to result in a reduction of current costs. 3PLs have a scale advantage that means they can access much better rates than you as an individual company. The same economies of scale will mean that 3PLs will manage and reduce future costs. The expertise and know-how of 3PLs will improve customer satisfaction. Their knowledge of supply chains result in on time deliveries presented in line with retailer requirements. Their infrastructure and network allows them to respond quickly and resolve problems fast. If your growth plans involve exporting then choosing a 3PL with global expertise can provide your company with the tools to achieve your goal. 3PLs can save you a whole lot of hassle and risk associated with running your own logistics. You can avoid additional salaries, the administration of holiday pay and stake holder pensions, work place risk assessments and environmental issues. If you are launching a business 3PLs can enable start-up. By outsourcing logistics you instantly acquire a large logistics infrastructure that allows you to compete with the more established brands. The use of a 3PL also frees you to focus on sales and growth safe in the knowledge you have the ability to respond to any opportunity that comes your way. Behind every successful brand is an excellent 3PL. Have you found your perfect logistics partner yet? 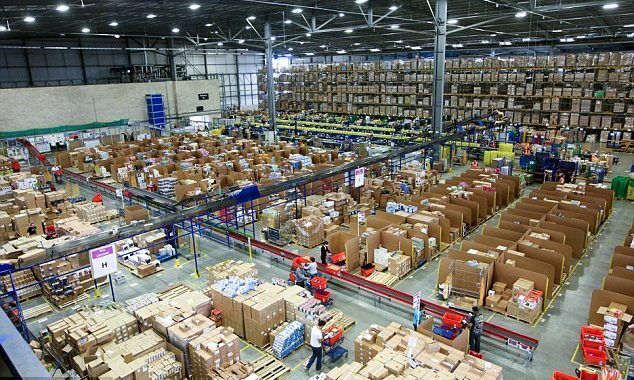 The Christmas period is valuable to a 3PL both in terms of revenue and reputation. Our customer’s peak sales season has a direct impact on our bottom line creating a challenging spike in activity. The festive season with all it demands and challenges also provides us with the opportunity to impress customers. Exceptional service levels across the busy period drive home and emphasise skill and competence. A successful Christmas highlights and strengthens your relationship with customers and kicks off the New Year on a high. Here are my tips for problem free Christmas logistics. 1. 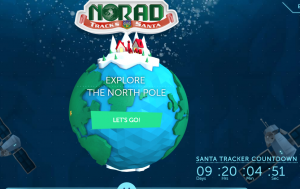 Start planning early – with Black Friday and Cyber Monday the seasonal Christmas spike begins as early as mid-November. For 3PLs involved in gifts it may even have started as early as September. Planning should ideally begin in August. 2. Appoint a project team – a trusted and experienced leader and team will enable focused planning without affecting your standard day to day operation. 3. Review previous year’s volume and performance – in order to plan effectively it pays to review previous year’s volumes and estimate expected activity levels. Analysis of past performance, challenges and triumphs will enable the project team to design a targeted plan. 4. Set goals – a clear set of goals for the season helps to focus planning and motivate teams. It ensures emphasis is placed on strengthening areas that may not have been up to scratch in the past. Perhaps you need to improve picking accuracy, or on time deliveries? 5. Weekly review meetings – schedule regular review meetings to update managers and teams with plans and actions. 6. Manpower planning – appoint key team members and brief with accountabilities and responsibilities. Schedule additional shifts for weekends and evenings. Recruit and train seasonal staff in advance of demand. One KPI regularly affected during peak periods is pick accuracy. This is often simply down to the use of untrained inexperienced temporary staff. Early planning and up front training is a quick and easy way to remedy this. 7. Materials planning – order in extra materials whether that’s pallets, packing cases, fork lifts, pump trucks, tape guns or shrink-wrap. Nothing brings a process crashing to its knees quicker than a lack of materials. 8. 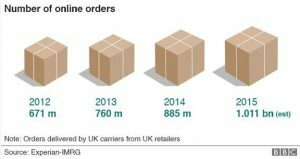 Prepare for returns – reverse logistics can see a huge spike over the festive period. Ensuring you have a robust returns process will guarantee returns won’t become a distraction and affect your outbound operation. 9. Communicate with customers – begin to talk to customers as early as possible. What are their plans? Are they running any specific promotions? All this data can then be factored into your planning. Update customers on your plans. Tell them who is heading up the Christmas team and what additional services are available. This is a real opportunity for you to impress and inspire your customers with confidence. Make the most of it! 10. Communicate with suppliers – organise additional collections with Royal Mail and your parcel carriers. Brief hauliers and contractors on increased requirements. There is no point getting all the orders picked on time if you haven’t organised the additional resources to deliver them. 11. Don’t forget customer service – the seasonal period always sees a huge spike in emails and calls to your customer service team. Where is my parcel? What’s the tracking number? My parcel is damaged! In order to maintain a high standard of customer care, why not appoint a person or small team to work solely on this throughout the busy period. You will be able to give customers a clear process and point of contact that will reassure them and you can avoid this increase in work affecting your normal day to day workload. It’s also worth investigating automated tracking number notification with your parcel carrier. Providing exceptional service levels through peak periods is what defines great 3PLs. Make sure you stand out this Christmas. Love it or hate it Black Friday, Black Fiveday and Cyber Monday are here to stay. This year Black Friday falls on 25th November. Black Fiveday kicks off on Thursday 24th November and runs through to Cyber Monday. Cyber Monday falls on 28th November. Here are 10 facts that you probably didn’t know about the event and its history. Black Friday used to refer to US stock market crashes in the 1800s. Although it is now known as the biggest shopping day, in the US the term “Black Friday” originally referred to very different events. The first time the term was used was on 24 September 1869, when two speculators attempted to corner the gold market on the New York Stock Exchange. The government stepped in flooding the market with gold, prices plummeted and many investors had a very black day and lost large fortunes. Black Friday now references the huge profits that are generated on the day. Many retailers see their biggest profits of the year on Black Friday. Black has always been associated with profit whereas red has always been associated with loss. Black Friday is always the Friday after Thanksgiving which is celebrated on the 4th Thursday of November. Tradition denotes the Friday following Thanksgiving marks the official start of the Christmas shopping period. The department stores in New York City embraced this concept and in 1924 the world famous Macy’s Christmas Parade began. Black Friday didn’t officially become the biggest shopping day of the year until 2001. Up until 2001 the biggest shopping day was the last Saturday before Christmas. Black Friday has cunningly converted us from shopping procrastinators and last minute buyers to early organised bargain hunters. Black Friday has now become Black Fiveday. In an attempt to maximise sales and profit retailers have extended the original one day event to a 5 day bonanza starting on the Thursday and going all the way through to Cyber Monday. Cyber Monday was the online version of Black Friday. Black Friday was historically a bricks and mortar event. As e-commerce sales grew e-retailers created their own version of the mayhem and called it Cyber Monday. In reality the whole 5 days of madness is now available both in store and on online. Retail consultancy Salmon are tipping 2016 as the best so far for consumers using smartphones to bag their deals. They are predicting approximately 5 billion pounds of sales over the five day period, 2.55 billion of which will be generated by mobile devices. Research network SimilarWeb have revealed the biggest profit makers of 2015. 52% of people spent more on Black Friday 2015 then they did in 2014 with an average spend per person of £191.00 and an average purchase per person of 5 items. However you feel about Black Friday its impact on our economy and businesses is undeniable. I recommend we embrace it fine tune our own sales and promotions to make the most of it and don’t forget to bag a bargain or 5 for ourselves! Please Click here to visit Warehouse-Space.co.uk To advertise of find Warehouse Space.